Mom's Gone Bronson! : Ozeri 3X Tower Fan (44") with Passive Noise Reduction Technology! Review! 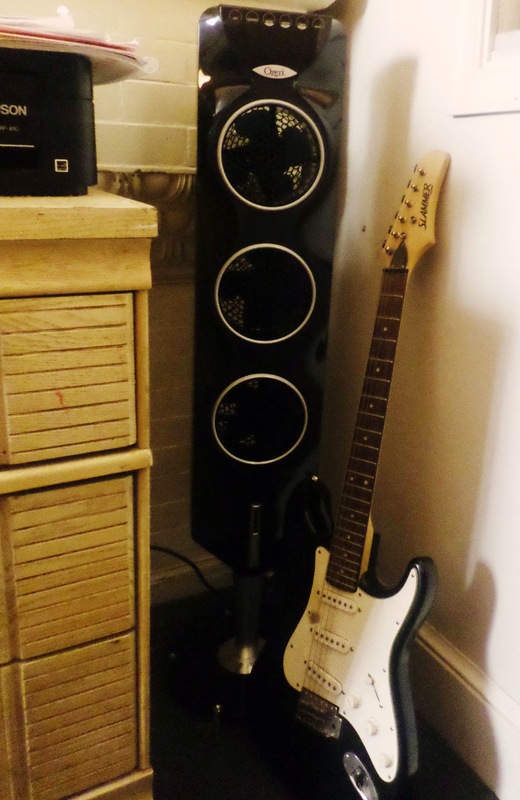 Ozeri 3X Tower Fan (44") with Passive Noise Reduction Technology! Review! 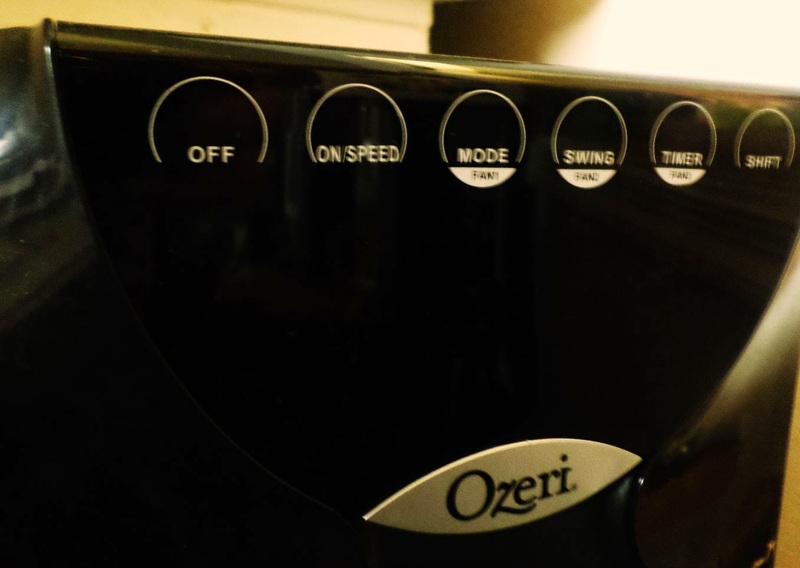 This is a most awesome fan from Ozeri and I think you're going to love it! The Ozeri 3x Tower Fan (44") with Passive Noise Reduction Technology has different gentle-touch button settings that control speed and direction as it oscilates to swing the air around the room via 3 fans that are independently controlable and have 3 settings each, making it a 9 combo setting to suit your needs! At less than 3 inches thick, this is one stylish addition to your home and takes up so little space that it fits right in wherever you'd like it to make a new home and it stands free with a reinforced glass base! The 3 fans housed here also have curved blades, to reduce noise and to invoke a soothing sound that utilized the air flow itself - a great extra when you're running a fan all day and don't want to worry about blocking out the noise - harness it instead! As I said before, this fan operates with a light touch and runs quietly all around! I really like the black, sleek design and it works so well in our living room but would very much work in just about EVERY living room! We have ours in a corner right now but it has a handle of sorts at the top so it is easy to pick up and move and the weight of the base keeps it free-standing just about anywhere with a flat surface. This fan is actually also great for creating a nice atmpsphere in terms of sound for our 16 month old, who doesn't like too many distractions but is actually lulled by the gentle fan in the background - it is nowhere near as noisy as our old one, which is big, bulky and annoying all around! I would definitely check out the Ozeri 3x Tower Fan (44") with Passive Noise Reduction Technology and see if it is right for you! I am certainly on board! I love the slim and sleek design! I hate those bulky fans! Definitely looking this one up!